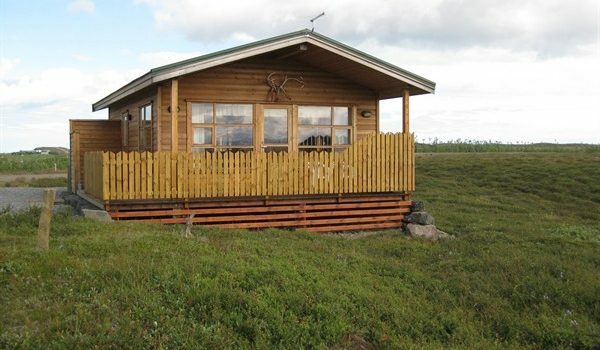 The refuge hut Egilssel at lake Kollumúlavatn has 22 camp beds available. svefnpokapláss. A lumber stove provides the heating and a gas cooking plates are at hand. WC and a camping site. 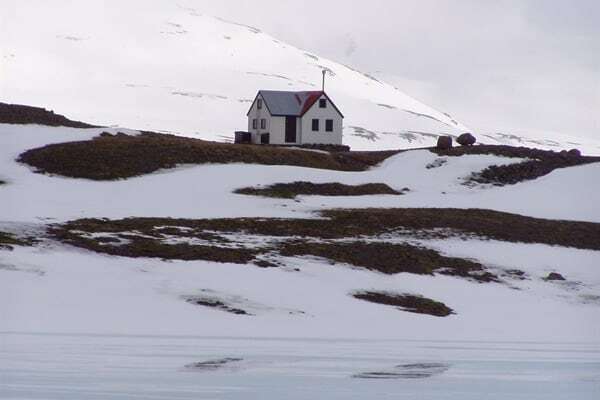 By Kollumúlavatn lake. Gas for cooking, primitive facilities. 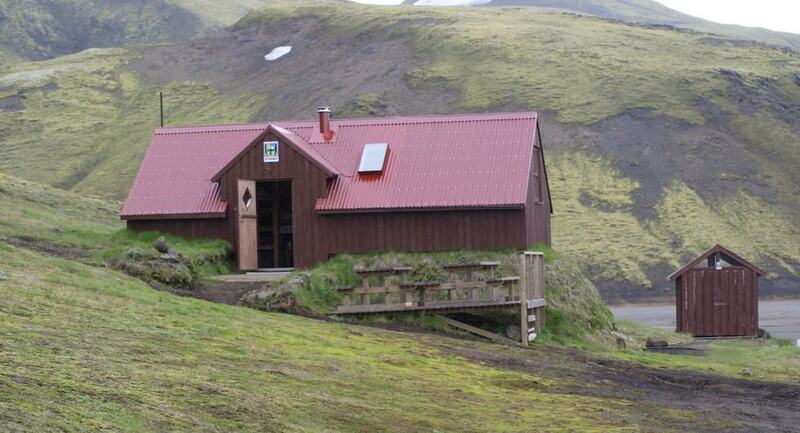 GPS: N63°50,330 W18°58,477 North West of Strútur at Mælifellssandur. Wc. Bjarg is an old farm in the town of Borgarnes. The old farmhouse which formerly housed sheep, horses and chicken has been renovated as a guesthouse. 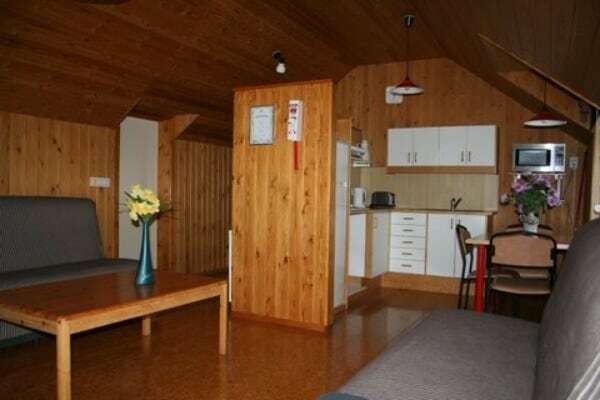 Accommodation in a studio apartment for 4 persons with private cooking facilities and WC/shower (cat. III). Another separate space with one double and two 4 persons rooms with shared facilities (cat I). Also 4 persons cottage (75 m2) with two double rooms, kitchen and living room. All rooms have TV and wireless internet. Bjarg is a quiet place in outskirts of the town of Borgarnes, with a beautiful view and many nice walking tracks. 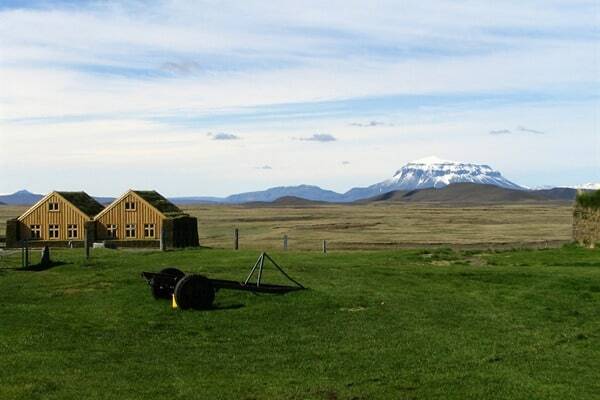 Convenient location for sightseeing in West Iceland. About 1 km from shops and service in Borgarnes. 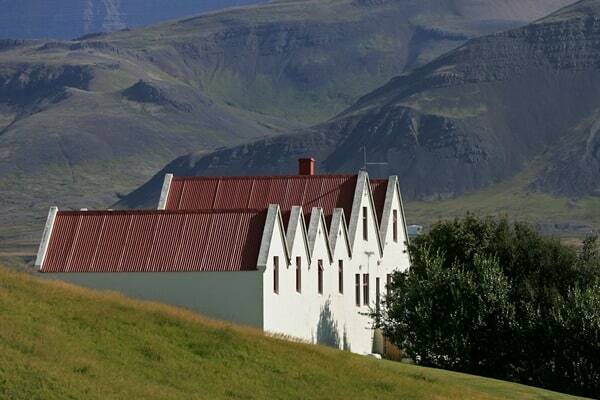 We like to invite you to a very unique spot in the north of Iceland, offering excellent panorama view of Skagafjörður. 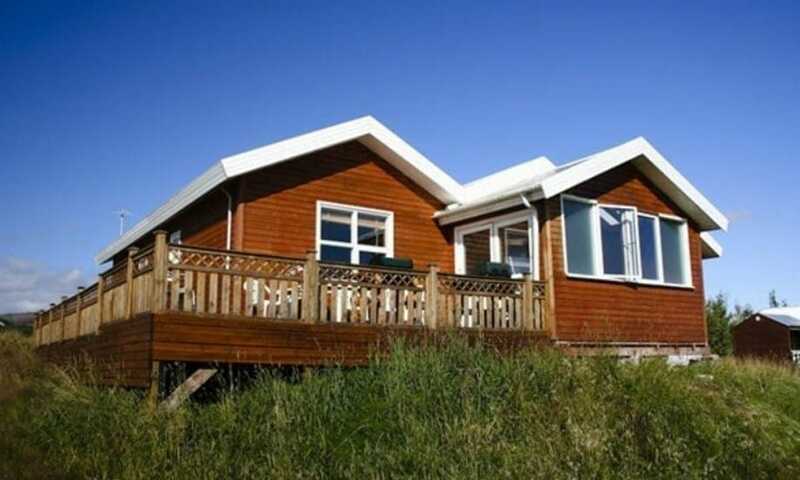 The guesthouse, Sveitasetrið has12 rooms with a private facilities and veranda. The restaurant highlights on home made Icelandic food and focuses on local products with the best ingredient that we can get from each season. 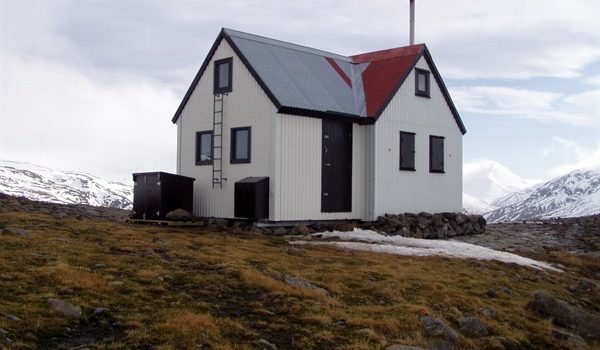 The Guesthouse Sveitasetrið is located in Skagafjord by road nr. 76. Only 18 km from the main road no.1. Here you can benefit from the peaceful countryside with all principal services and recreation of the area within your reach. Excellent walking facilities are in the vicinity and many places of interest are closed by. 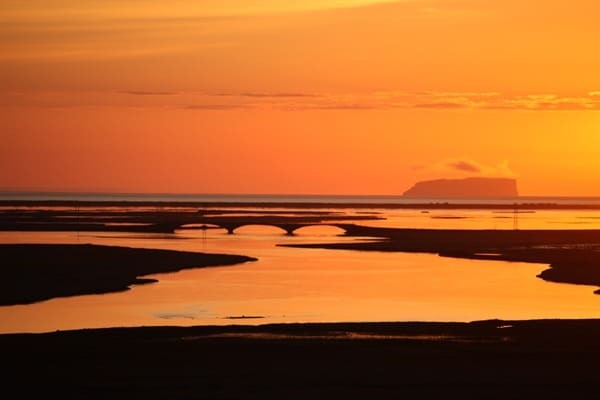 Stunning nature is at the tip of your finger where the river Héraðsvötn floats peacefully by, only a short distance away from the guesthouse. The area is rich in birdlife and ideal for bird watchers and other nature lovers. 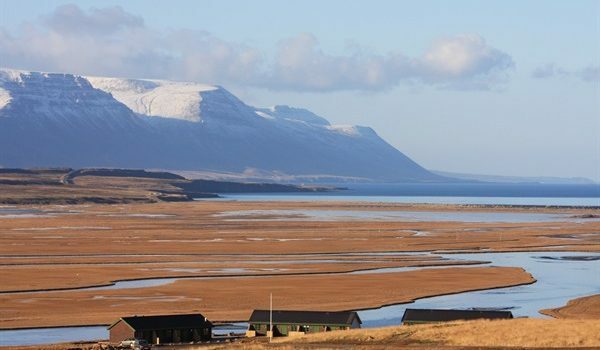 The mountain above Hofsstaðir and the scree in it are an ideal place for hikers and geologists and gives breathtaking view over Skagafjörður. 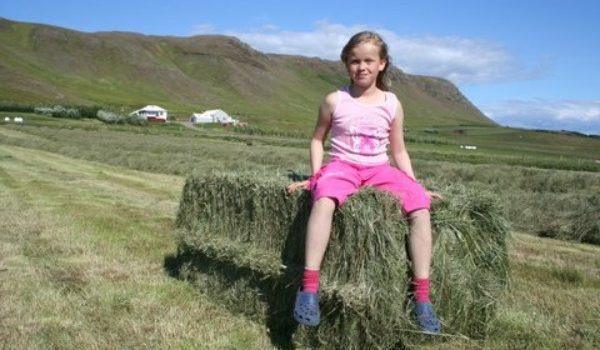 Welcome to “Fjalladýrð” -“The Mountain Marvels” – of farm Möðrudalur where you´ll find a guesthouse, a camping ground and a café/resturant, as well as organized tours. 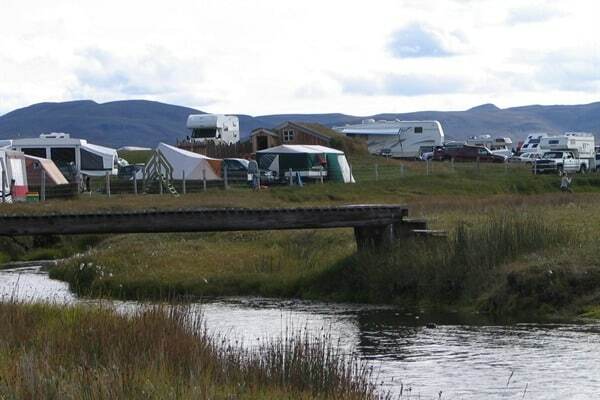 We are located midway between Mývatn and Egilsstadir, on road 901, just 10 minutes´ drive from the ring road. 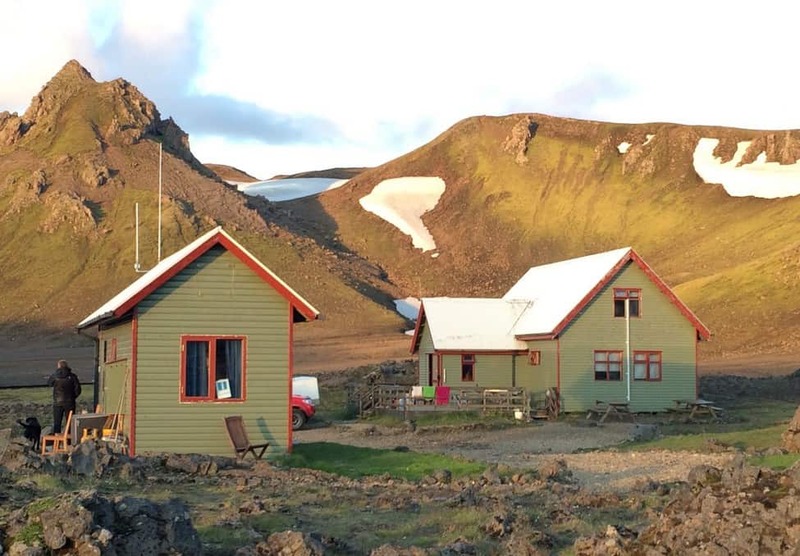 Möðrudalur´s “Mountain Marvels” offer accommdation space for up to 27 people in made-up beds, single as well as double rooms. A camping ground is also at hand. 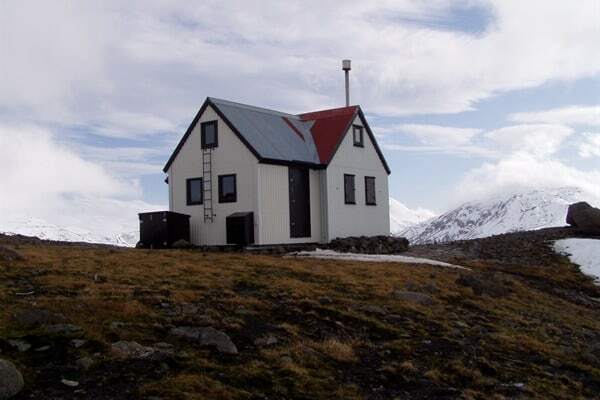 A small shop, and the restaurant “Fjallakaffi” – “The Mountain Café” awaits you with homemade cakes and “kleinur”, – an Icelandic doughnuts treat -, not to mention the renowned Icelandic lamb. All this is to be found on our menu. Cooking facilities. Please contact us for prices and booking information. 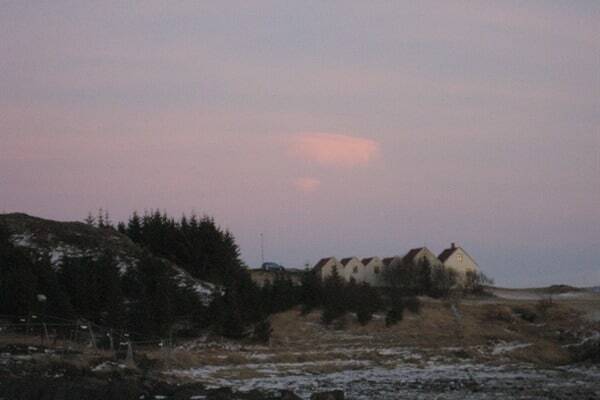 Ekra has 2 cottages, erected in 2005. One disposes of a bedroom w. double bed while the other has a double bed and a berth. Both boast well-garnished, convenient living rooms, a full-fledged kitchen and a WC with shower. Bed covers, linens and towels are available and grills are at hand for outdoor-cooking. 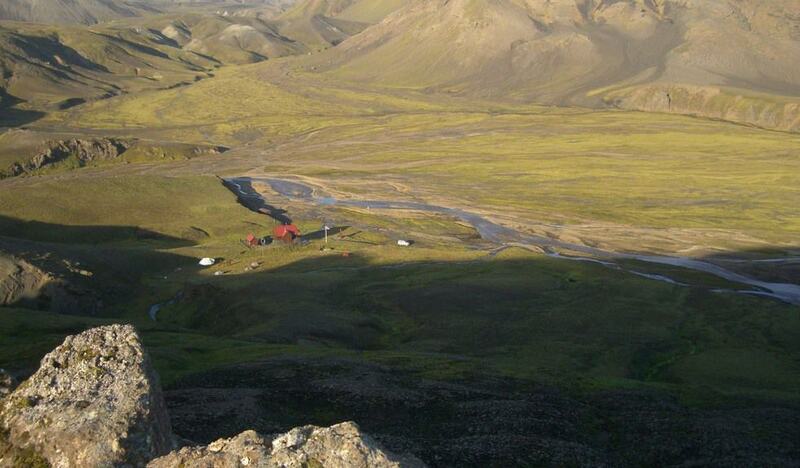 Ekra offers a fine view of river Lagarfljót and the surrounding girdle of mountains. Idyllic lakes and ponds are but a stone´s throw away, some of which are renowned for copious angling possibilties. Service centre Egilsstaðir is only 30 km. 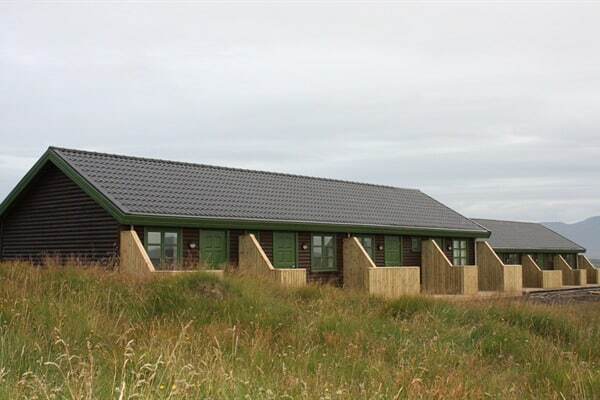 away, as is the picturesque former school centre of Eiðar with romantic woodland walks and nice islets. 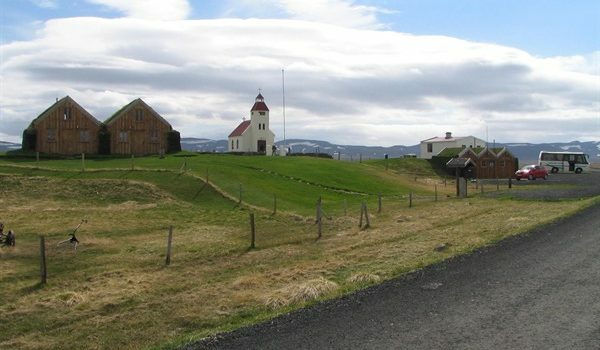 The 19th century traditional farm of Galtastaðir is around the corner, portaying the long lost architecture and ways of rural Iceland of days past. 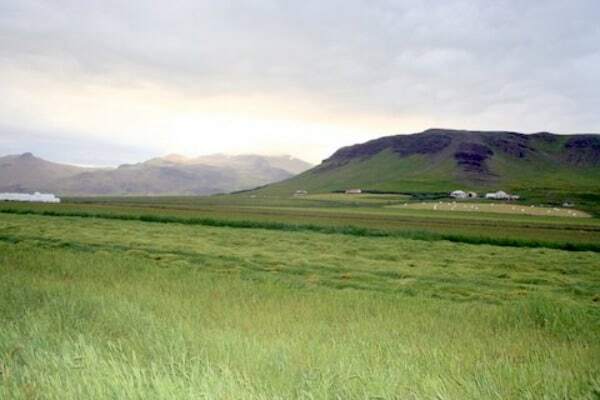 The luring hiking area of Stórurð is but a few miles away, offering a unique Iceland outdoor experience. Furthermore, the fantastic fjords of the East are all within grasp, each endowed with its own particular characteristics and charm. Please contact for further information. Shorter guided horse riding tours offered on request.